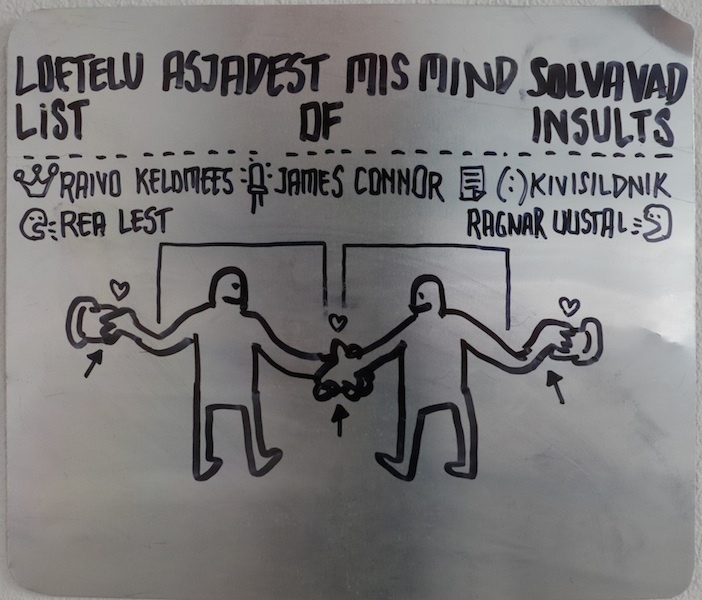 "List of Insults" is artwork involving collaborative participation. Visitors should reach each other hand and in same time hold the metal tubes on the wall. 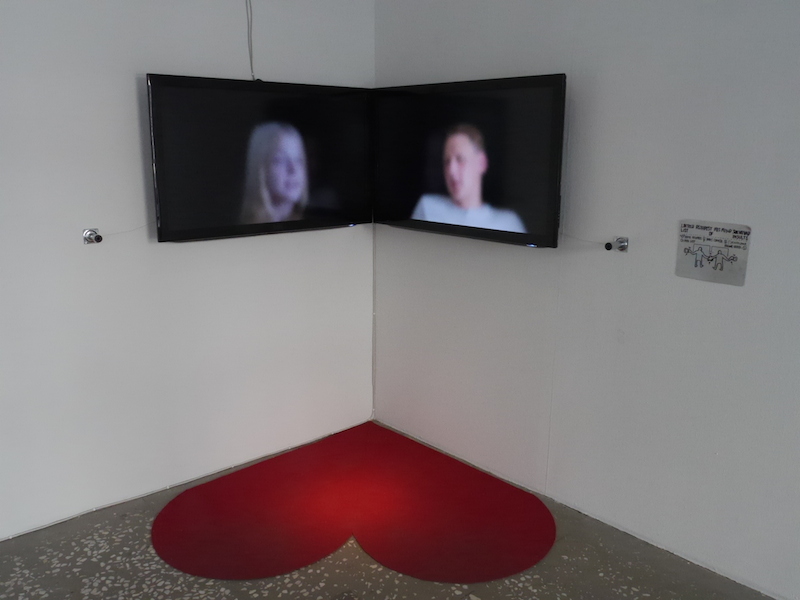 Videos on the TVs start to work, presenting dialogues between fictional personalities who are discussing art, politics, and poetry. The participants could be two or more than two, but one person is not able to reach tubes on the wall. In that sense, single visitor should engage somebody in the exhibition room to be able to experience the artwork. 1. I am looking for the meaning of your life. Where did you hide it? I hope that we solve this question without violence. 2. Look, what do you think, how much will they pay me for your meaning of life? This has been my work for years after all, I have been sweating over it quite a lot. 3. I have a plan to exile from my human body. I have been exiled from everything human already, especially culture and fine arts. I cannot be free when body makes improper hints to humanity. This is insulting. 4. We are helping bankers and this is good, but what should we do when bankers have so much money that all places are full of it and there is no place for more. I fear that something bad could happen, something existential. What would happen then? 5. Help me, I am assaulted by gravity, aging, scarce cultural policy and idiotic media. If you are a NATO then launch article five. Does anybody have spare time? 6. Every day twenty seven thousand people die in the world because of hunger, how could you live with this knowledge? Only seven point two billion are left. 7. Hunger kills more people then wars, should I support war? 8. List of things which insult me: math, philosophy, logic, statistics, sciences in general, cultural heritage, history, there is nothing as insulting as historical records and archaeological findings. Please keep this in mind next time. 9. I don't trust him. He is in service of somebody and does cheap truth service for his employer. Cheap truth does not satisfy me. 10. But if bankers and islamic terrorists are same gang? Maybe I belong to this gang also? But maybe I haven't been so lucky yet. Have you been lucky? 1. I want that women are equal with men. 2. I want that men are equal with gods. 3. 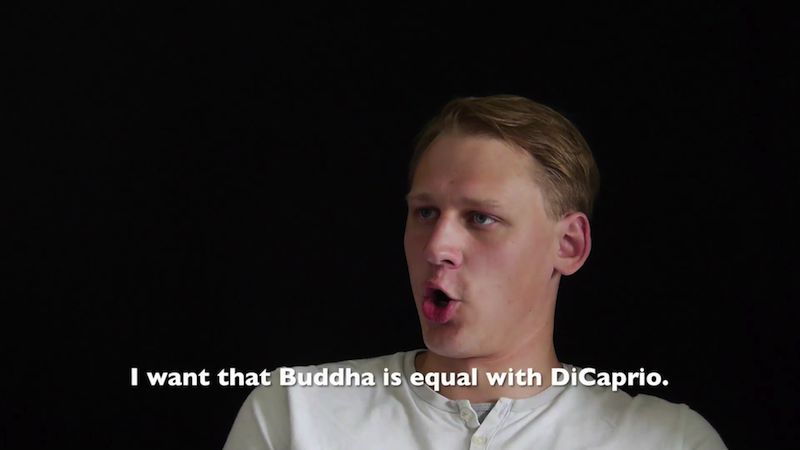 I want that gods are equal with movie stars, I want that Buddha is equal with DiCaprio. 4. I feel like somebody has hacked into my meaning of life. I am overwhelmed by distant nameless clarity, as there is more than one light in the end of the tunnel. 5. I am an artist, I am a solved problem and proud of it. Once I started to think. Then I had such face. 6. Mankind has only one thing to learn from art and literature. There are things which are not important and if something seems important, then in closer inspection it becomes clear that it is art or literature. I really love it. 7. History remains in the past, right away we are breaking through the present, only future remains. Perhaps we shall break through! 8. I know one monk who starved 300 years and become bored. I think that for starving one need skills. People should be informed, enlightened, counseled and educated. If it is not sufficient then punished. 9. Islamic terrorists have no rights but they have ideas. I have rights but no ideas, what should I do in such circumstances? 10. No problem. No problem at all. Nothing at all. Nothing. 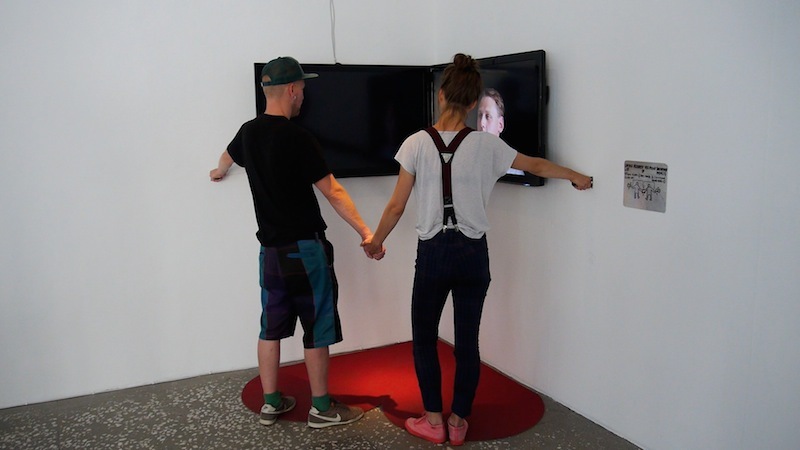 Elektra 2015 is a playful environment created from interactive art work. All the visitors are invited to enter, intervene and try it out. 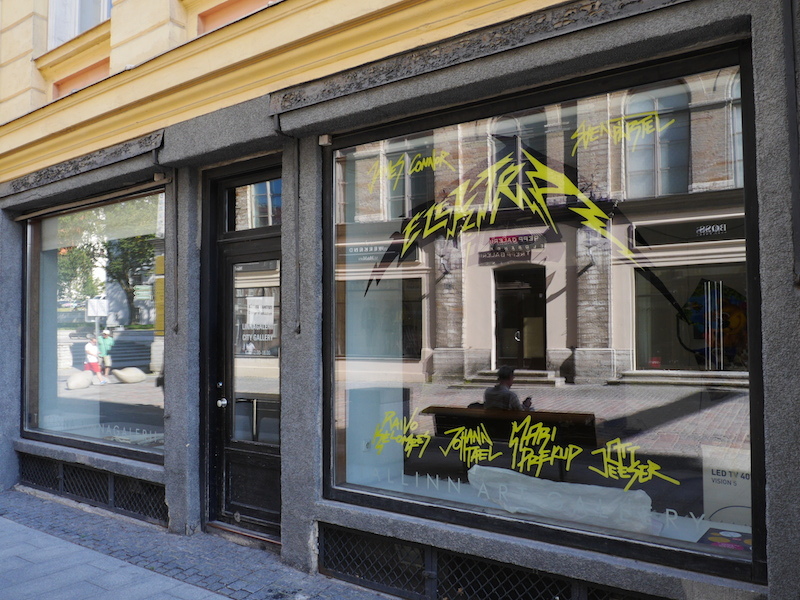 The artists behind the exhibition are Mari Prekup, Ott Jeeser, James Connor, Raivo Kelomees, Sven Pärtel and Johann Tael.